What is 4Life Transfer Factor®? It’s what you need to start doing cartwheels again. When it comes to having energy, more is better. Your zippidy-do-dah does a whole lot more than just get you through the day. Smooth skin…brainpower… bright eyes… higher metabolism… concentration… lean muscle mass… it all takes energy. 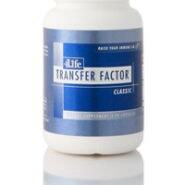 4Life Transfer Factor supports healthy energy levels by promoting an effective immune system. A smart immune system contributes to healthy energy levels, which can help you have more zip for other things.